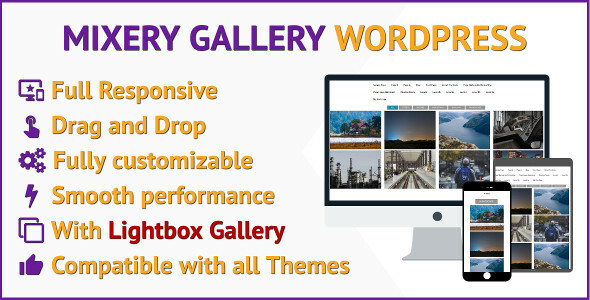 Mixery Gallery is WordPress Plugin that sorts, shuffles and applies stunning filters over responsive galleries using CSS3 transitions. No programming knowledge required – Create a mixery gallery in a few minutes, so easy. It’s compatible with any active WordPress Theme and Woocommerce.